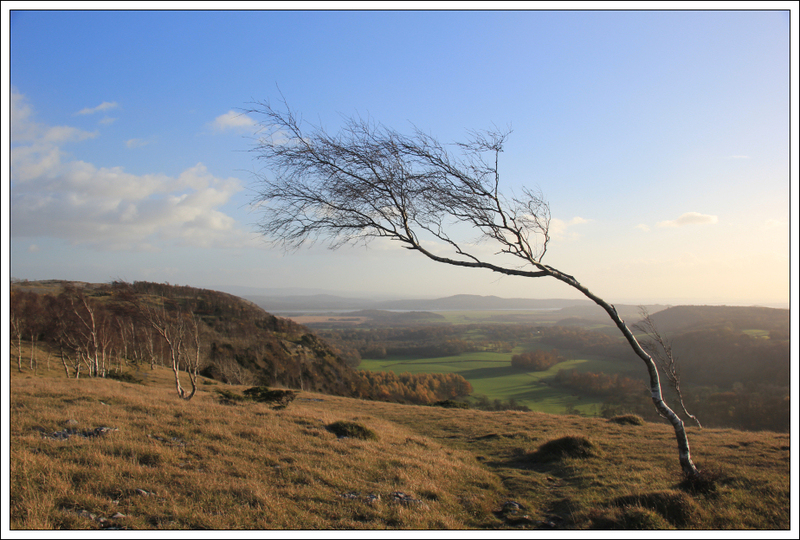 The forecast for today was for gusts of wind to 70mph. 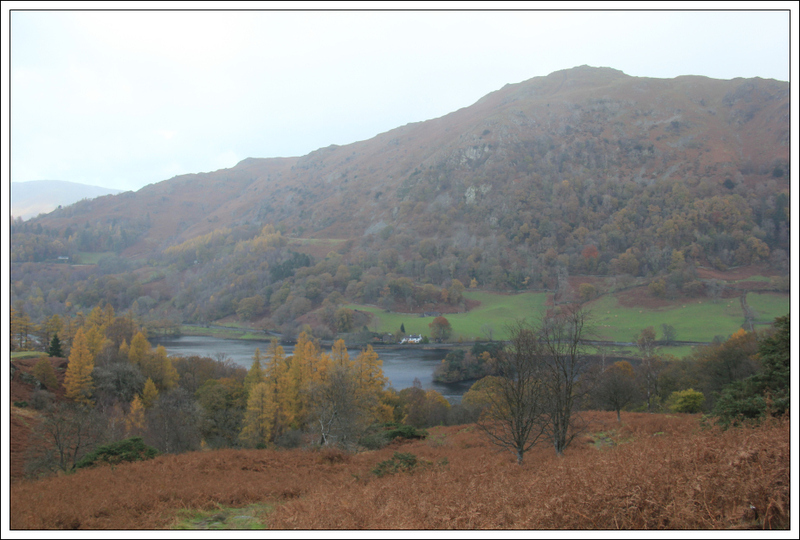 I therefore decided to stay relatively low and ascend Loughrigg Fell. 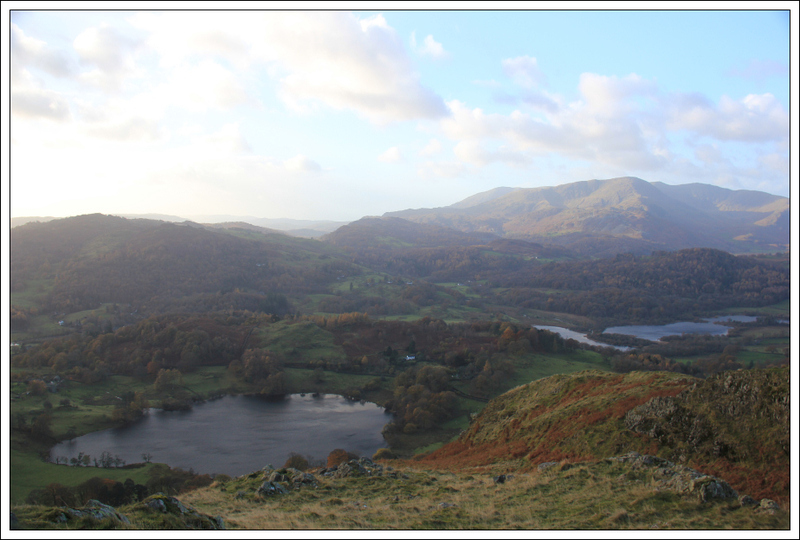 Loughrigg Fell is a fantastic 335m fell located between Grasmere and Ambleside. 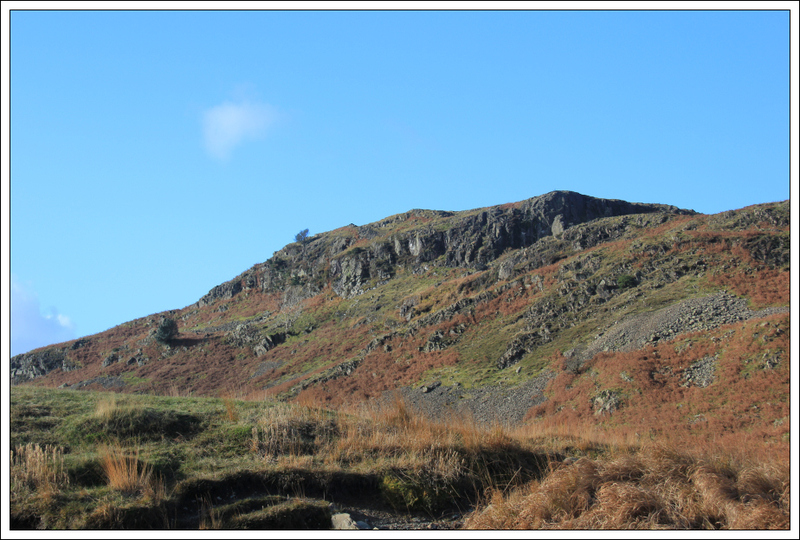 Loughrigg Fell is a Marilyn and a Wainwright. I parked in a small lay-by across from Grasmere where there is free parking for three cars. There are also pay and display car parks circa 1km further along the road. 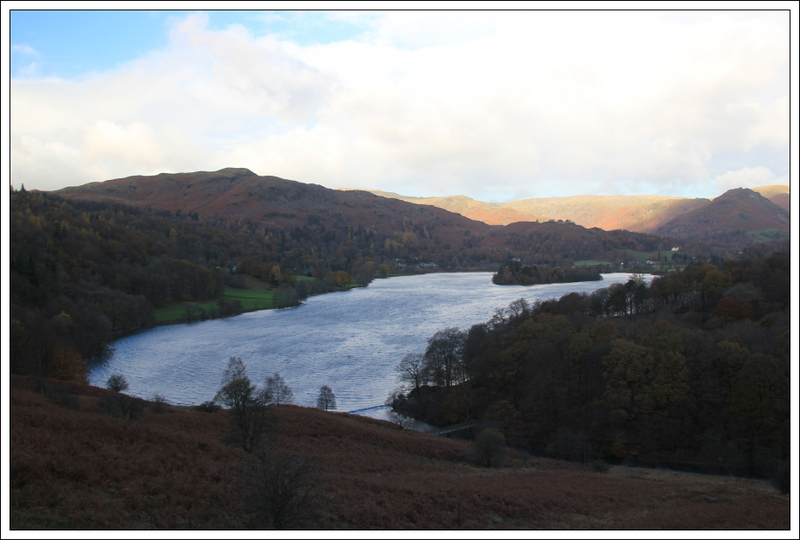 From the lay-by I crossed the A591 to walk along the pavement next to Grasmere. At the end of the pavement I entered Penny Rock Wood and walked 100m or so through the wood to reach the bridge over the outflow from Grasmere. 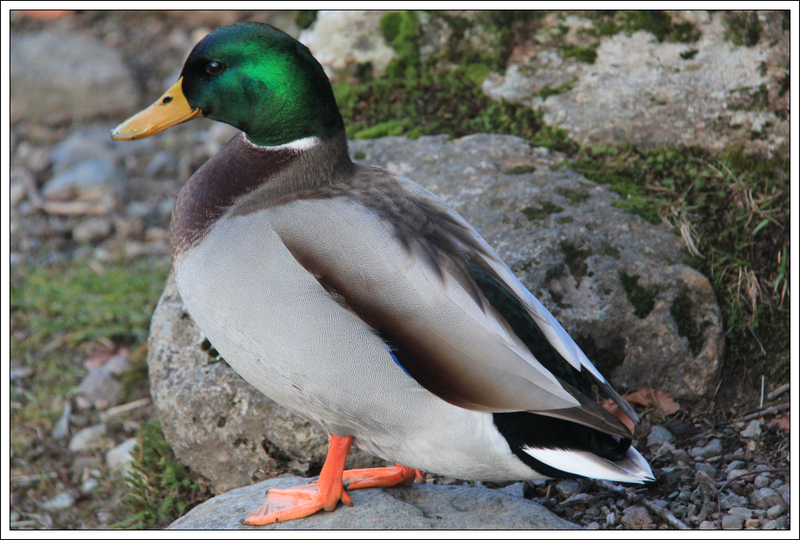 At the end of Grasmere were several Mallards and a Black-headed Gull. 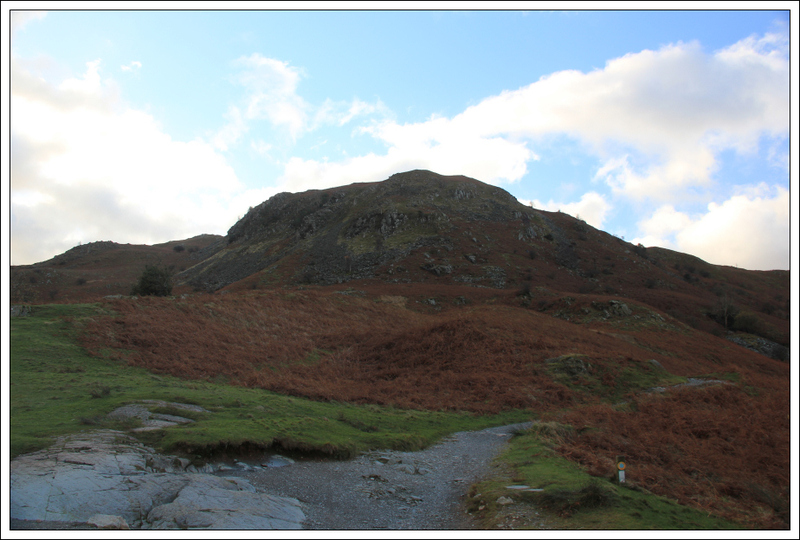 After crossing over the bridge I followed a good quality track leading to the start of Loughrigg Terrace. 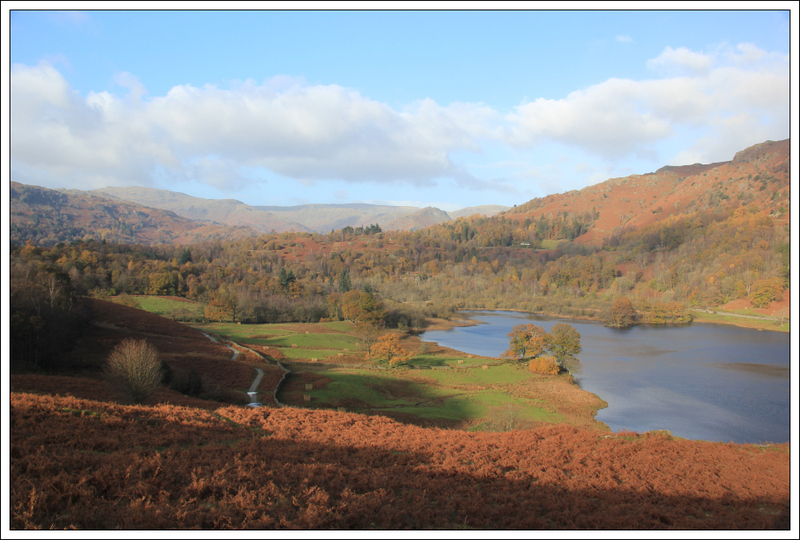 The walk along Loughrigg Terrace is outstanding. 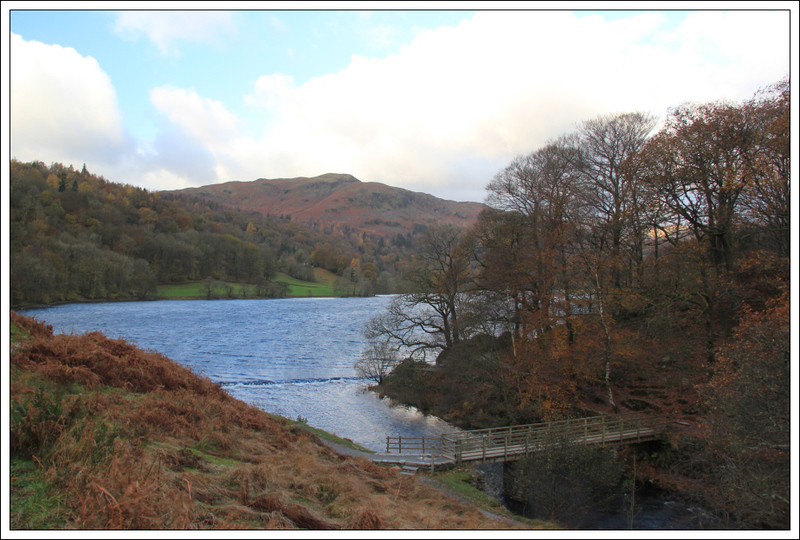 This section of walk provides great views of Grasmere and Rydal Water. There are numerous benches and seats along the terrace should you wish to sit and admire the views. 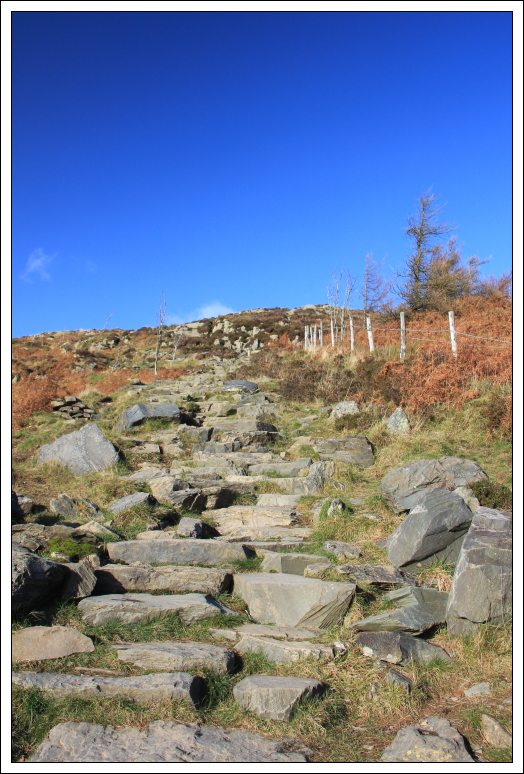 At the end of Loughrigg Terrace I began the steep ascent of Loughrigg Fell via a very well-constructed path. 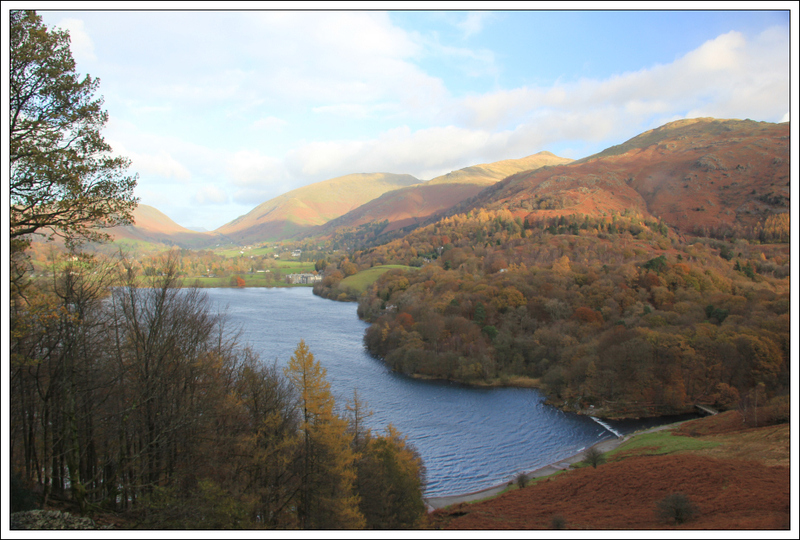 It was nice to see so many Lakeland fells that I have yet to climb during the ascent. 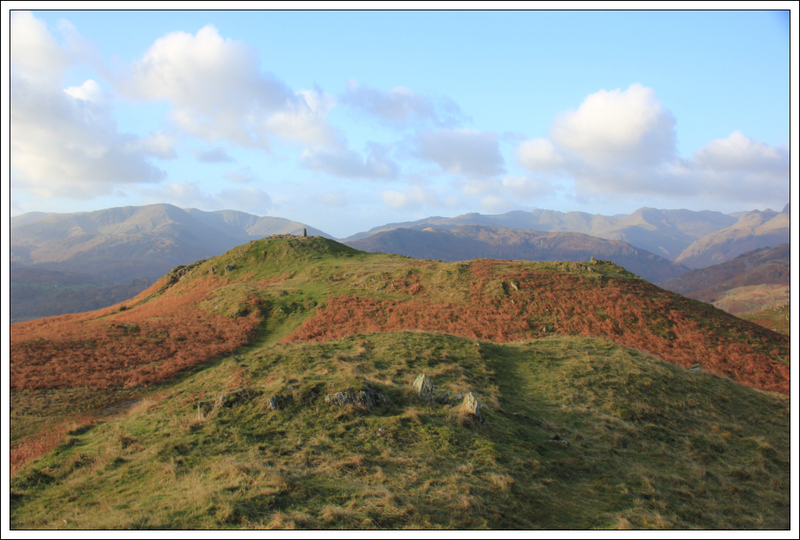 I reached the summit of Loughrigg Fell in under an hour from setting off. After visiting the summit of Loughrigg Fell I also visited a number of subsidiary tops many of which are great viewpoints. 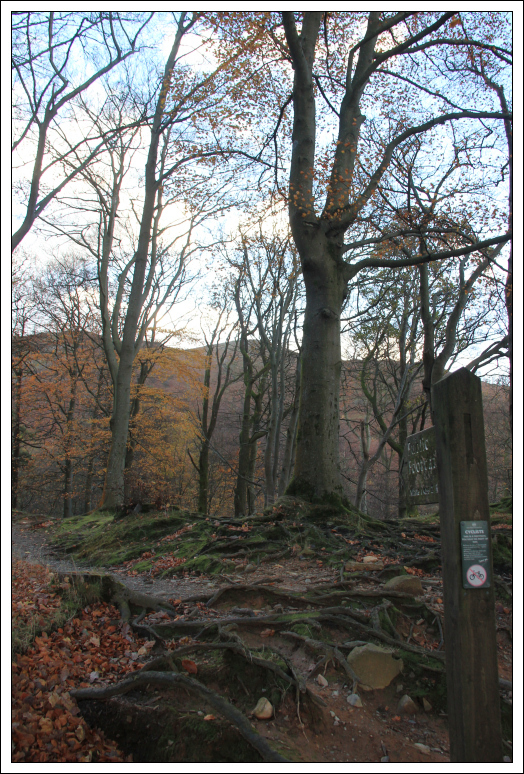 After visiting several small tops I skirted round Ivy Crag. 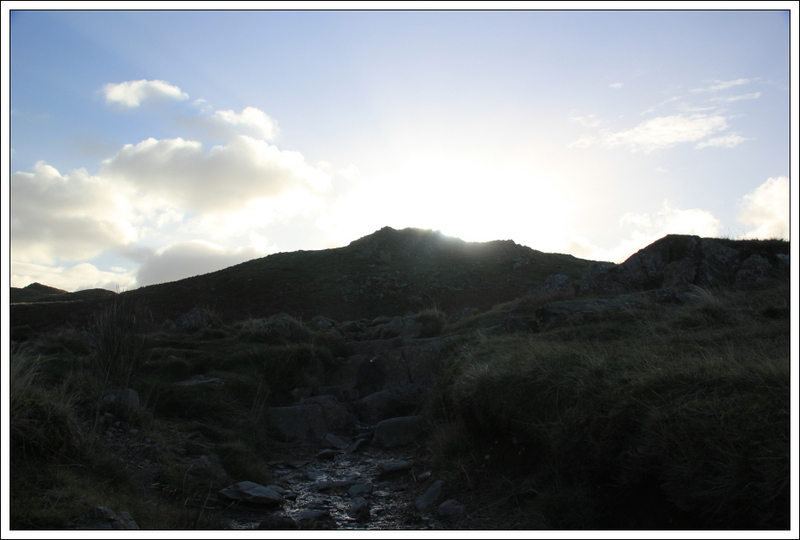 There are a large number of tracks on this hill beyond Ivy Crag. 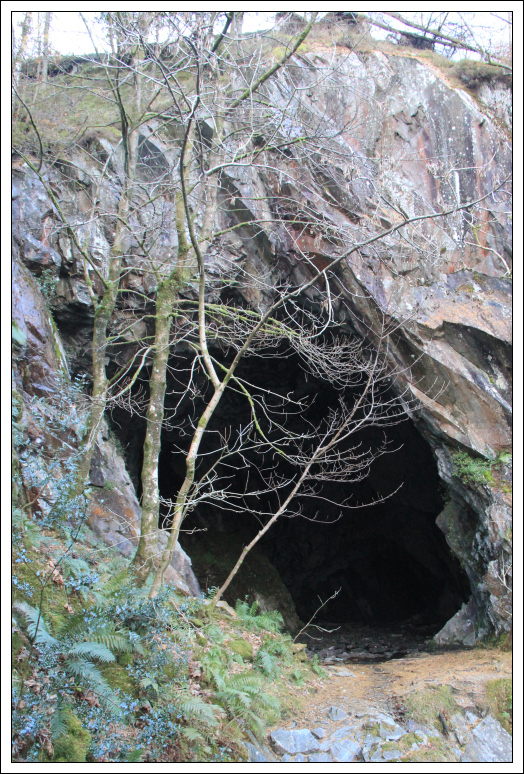 I used my GPS in an attempt to locate the start of the track leading down towards the caves. The actual track would appear to be 100m+ away from the track marked on the OS map. 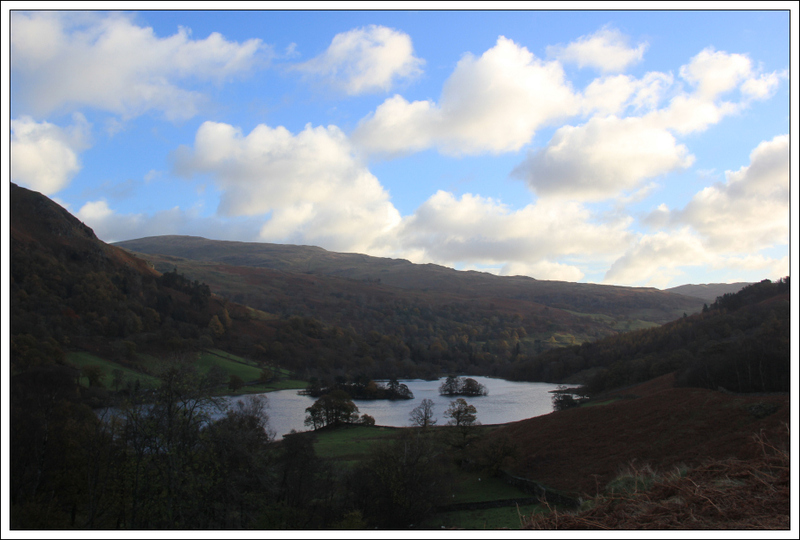 I followed the track down towards Rydal Water with a view to visiting the caves. The caves were much better than anticipated. I decided to enter the cave for a look around. There is a short circa 3m hard scramble to get into the cave. 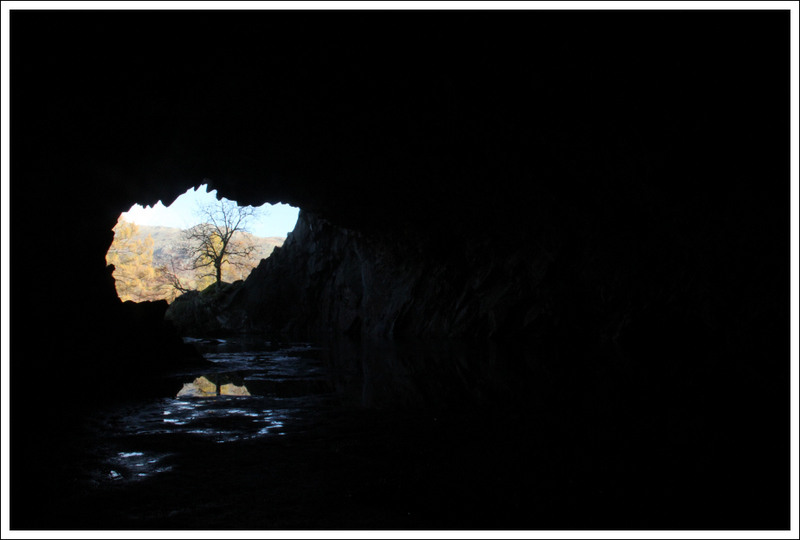 Once in the cave I went to the back of the cave and took a photo looking out. 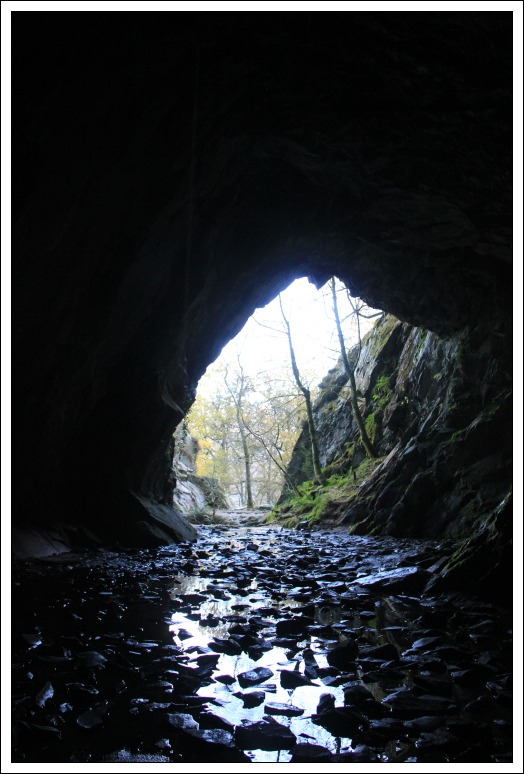 After scrambling back down out of the cave I visited the next cave. 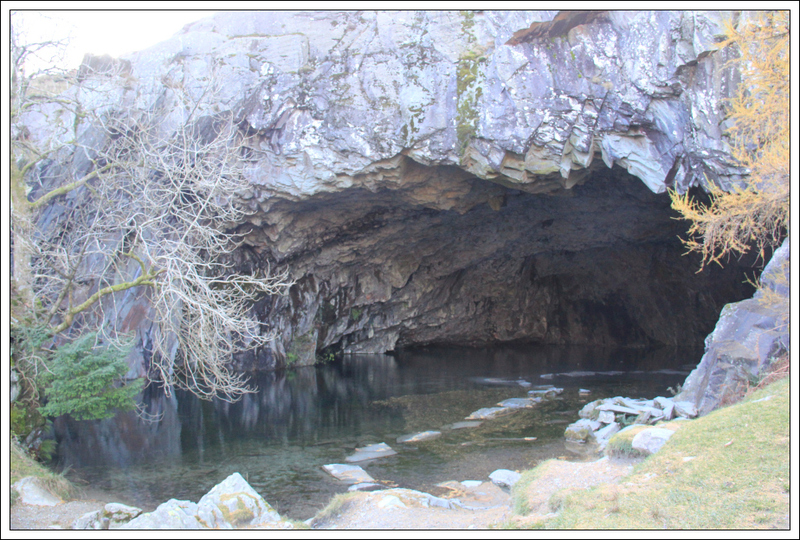 Getting into the second cave was more straight-forward - a walk across a number of stepping stones. Again I walked to the back of the cave and took some photos looking out. This one reminded me a bit of the "cave" on the asteroid in Empire Strikes Back! 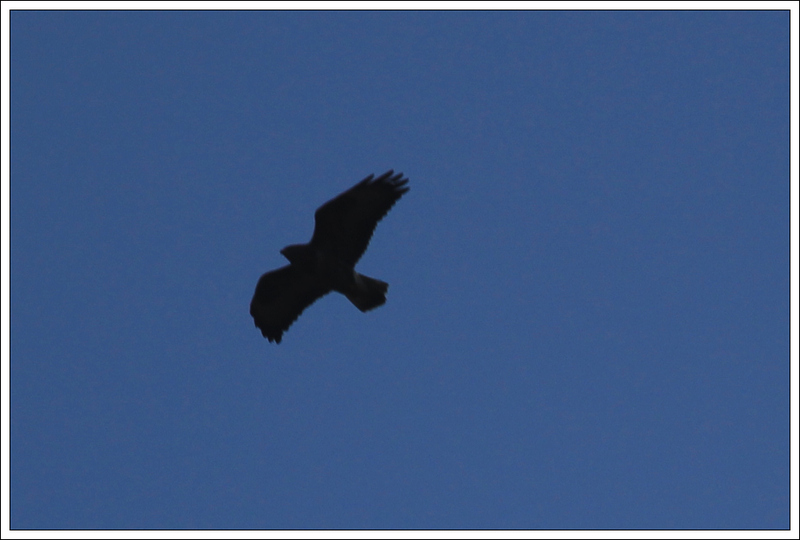 During the walk back towards the start of Loughrigg Terrace I saw a large raptor flying above. 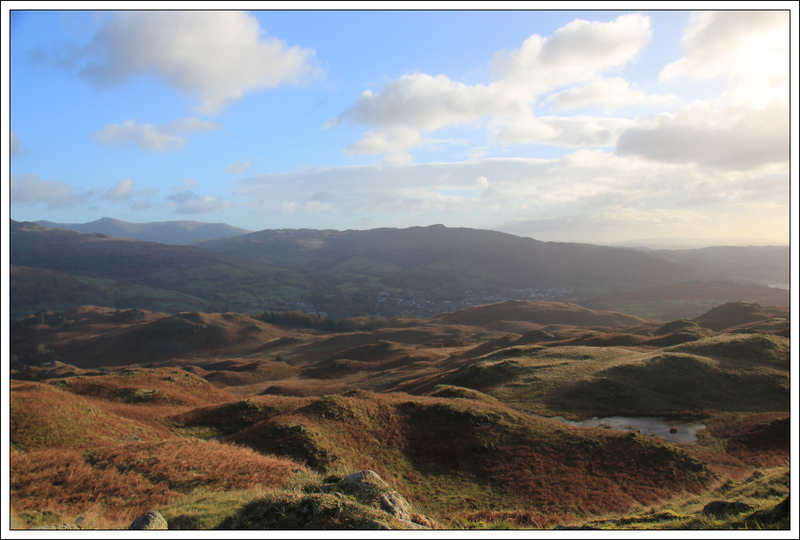 Loughrigg Fell is an outstanding small fell. 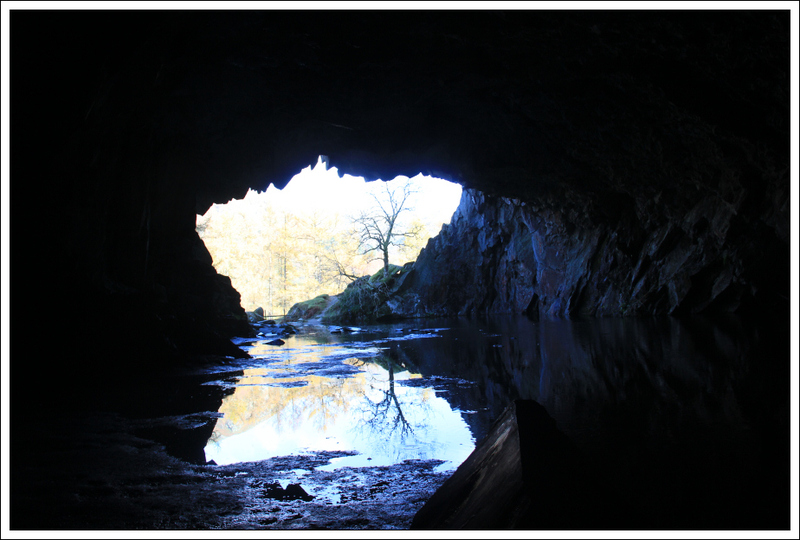 The caves are also well worth a visit. 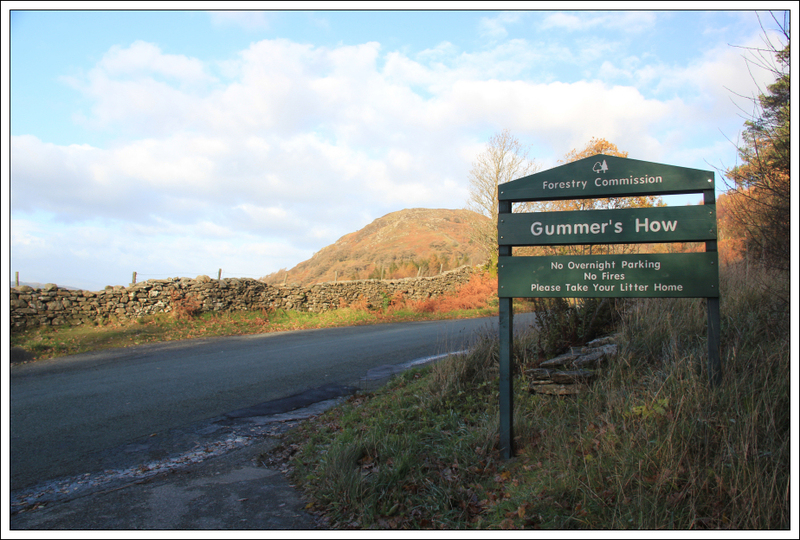 After returning to the car I drove to the Gummer’s How car park for an ascent of Gummer’s How. 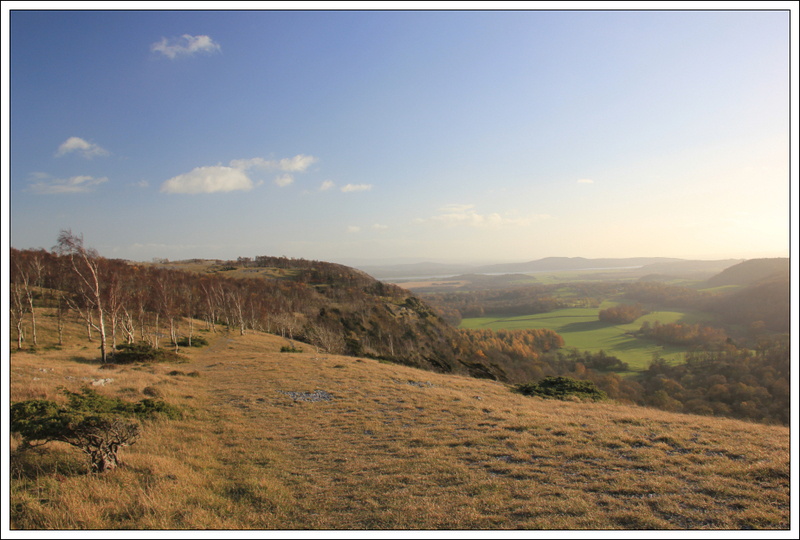 From the car park I walked a short distance up the road before taking the path leading towards Gummer’s How. 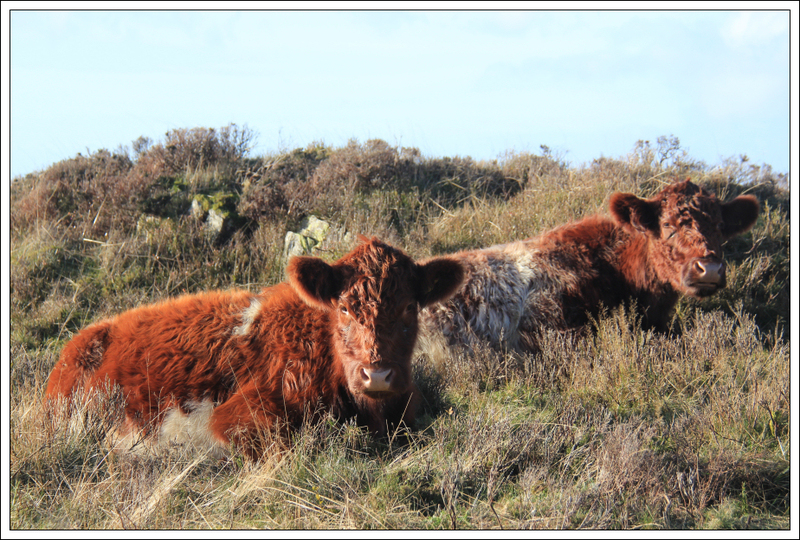 At the start of the track is a sign advising of Luing cattle being introduced to the hill to assist with vegetation management. 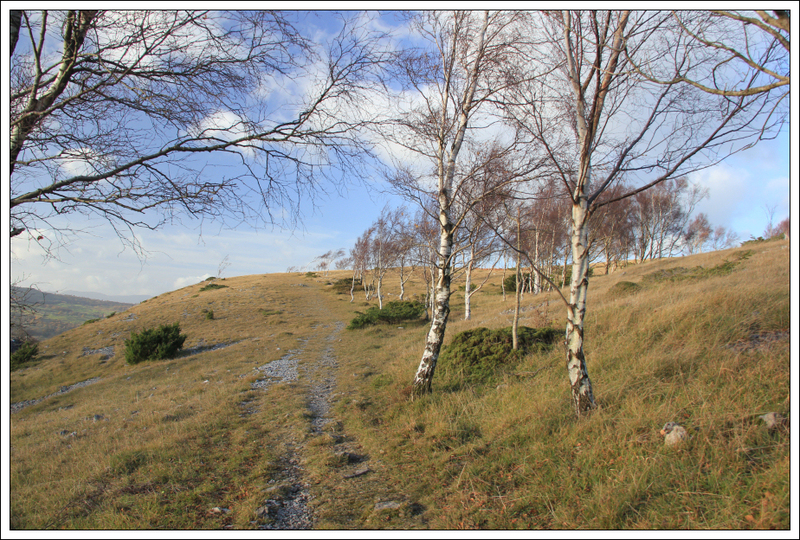 The track leading towards Gummer’s How is very good. A couple of hundred metres from the summit I abandoned the main path and followed a smaller path leading directly to the summit. 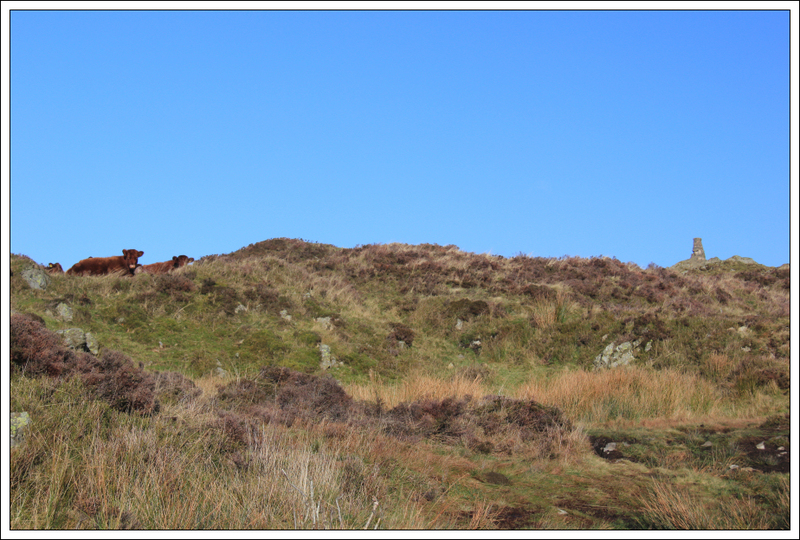 As I approached the summit I could see a number of cattle lying down circa fifty metres from the summit trig point. I am always a bit wary of cattle on the hill but these cattle presented no problem. 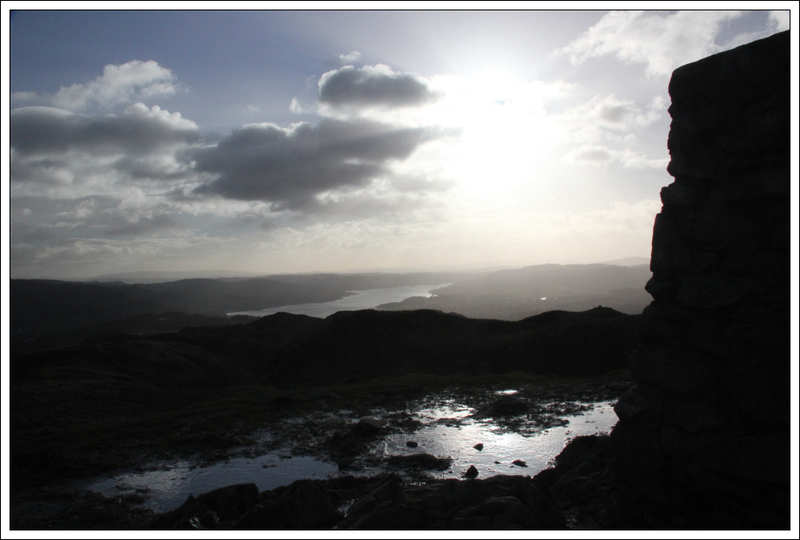 From the summit I walked circa 50m beyond to get a view of Windermere. 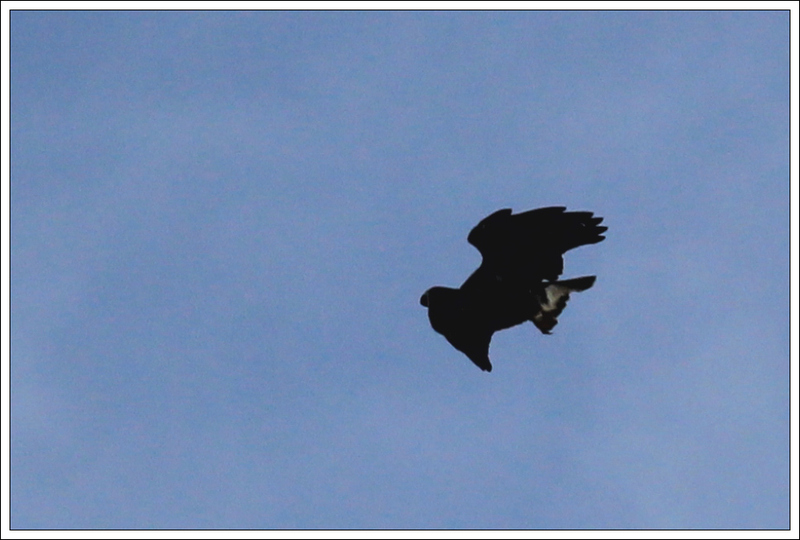 I then returned to the car via the same route. On returning to the car it was still quite early so I had a look at the map for any other nearby Marilyns. I noticed another Marilyn on the map that was only a 5.5 mile drive away. I knew nothing about the Marilyn, Lord's Seat. For some reason I expected it to be a rather dull wee hill. This was definitely not the case . The 5.5 miles between Gummer’s How car park and a potential starting point for Whitbarrow involved travelling along a number of very narrow roads. I was pleased to arrive at the entrance to Witherslack Hall school without meeting any traffic coming the other way! I parked opposite the entrance to the school – limited parking. On looking across to Whitbarrow I was seriously impressed and wondered how the feck will I get up that! 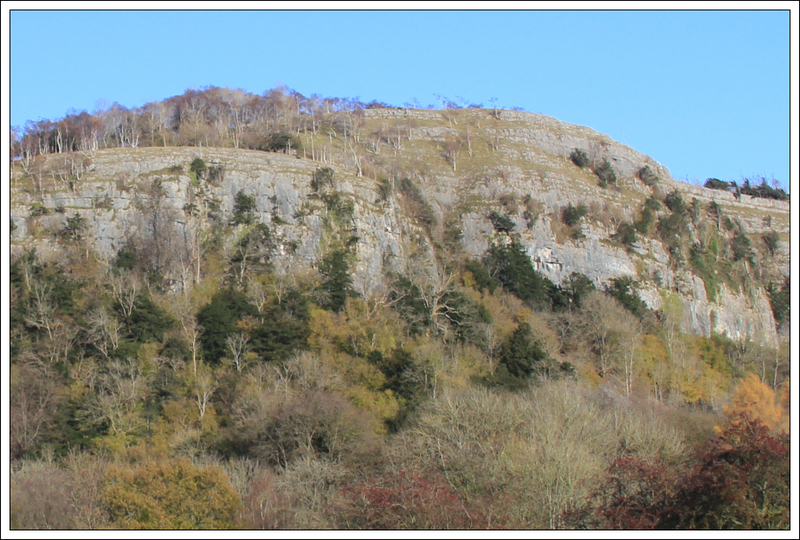 Whitbarrow has very impressive Limestone cliffs. On looking at the map I could see a path ascending through the cliffs. Was this possible? Thankfully, yes. At the start of the walk I entered a field which had cattle and a bull in it. 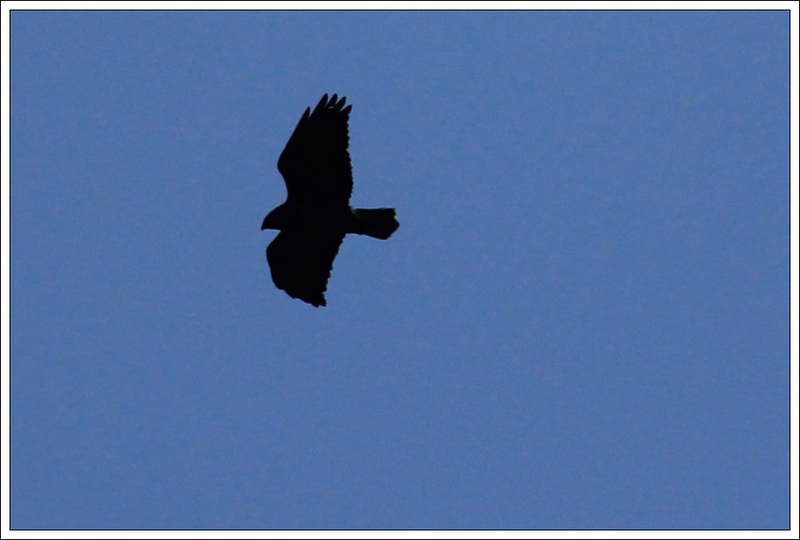 I walked to within 20m of the bull and then decided to take a short detour to get a bit further away from it. 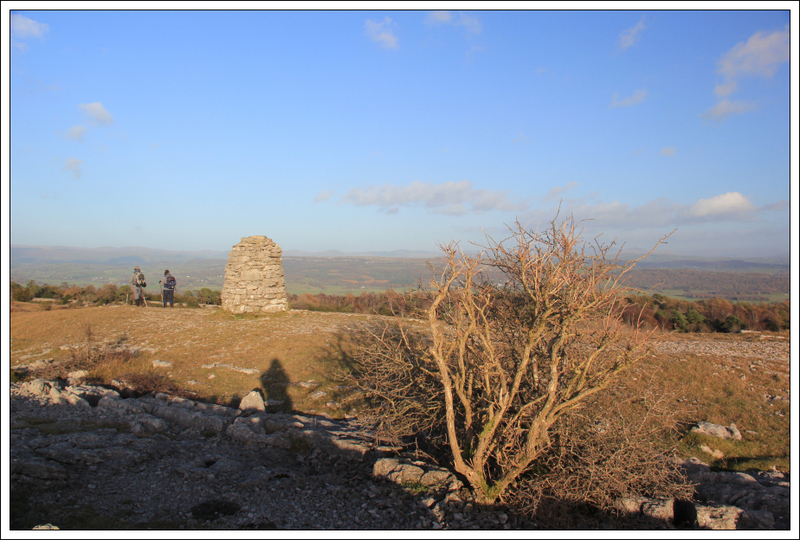 After getting back onto the track, after passing through a gap in a wall, I started my ascent of Whitbarrow. The sloping ascent avoids the cliffs. There is one section of the track fairly exposed with a large drop below. Given the mix of protruding tree roots and leaf litter I took my time to avoid any trips. 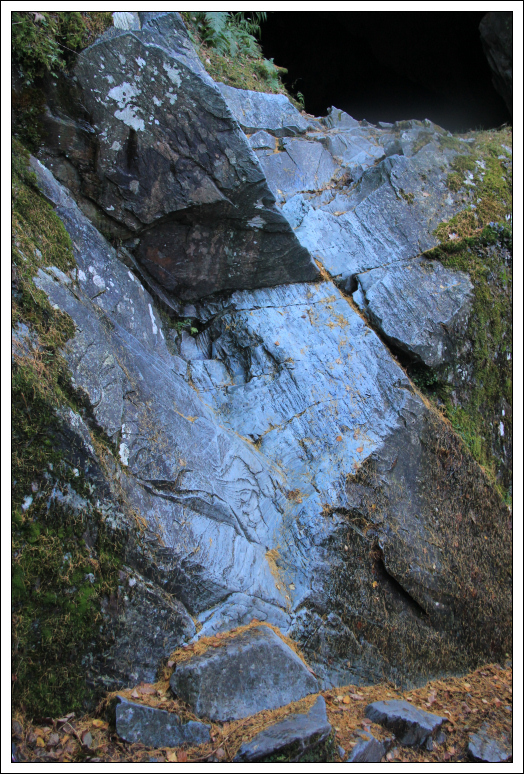 At the top of the diagonal ascent I reached a wall, that runs along above the cliffs, with a stile beyond. 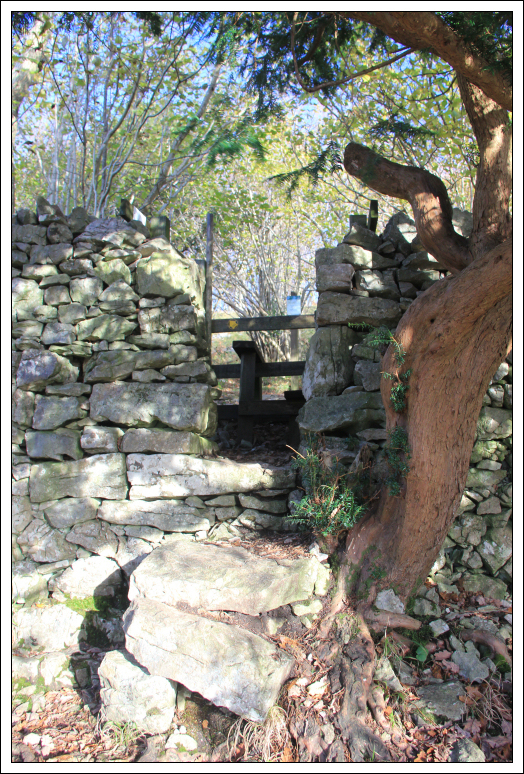 I crossed over the stile and then followed a track running alongside the wall. 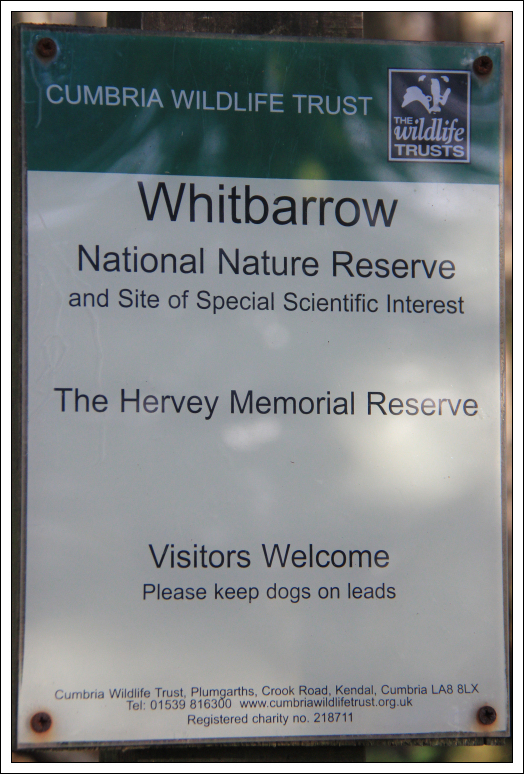 I was surprised to find that Whitbarrow is a Site of Special Scientific Interest. 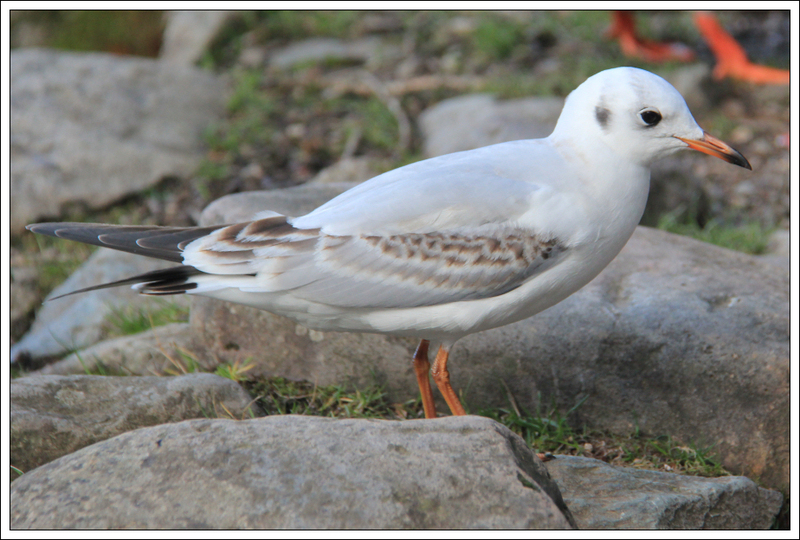 It is also a National Nature Reserve. 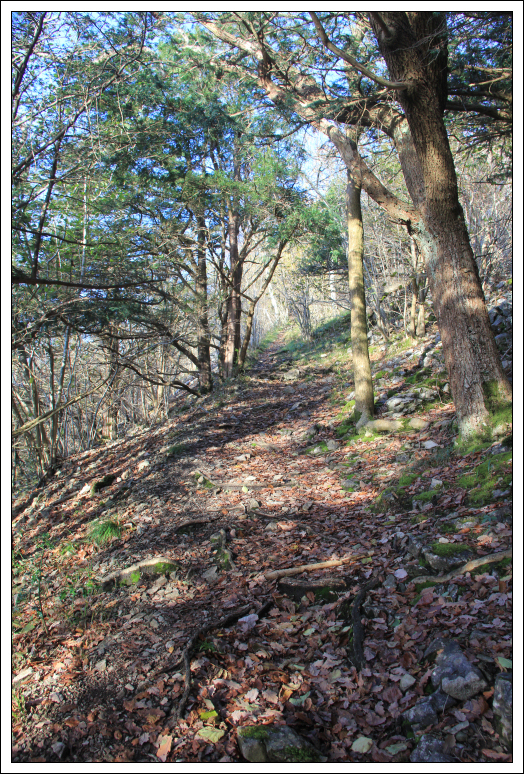 Once above the cliffs it was an easy pleasant walk to the summit. 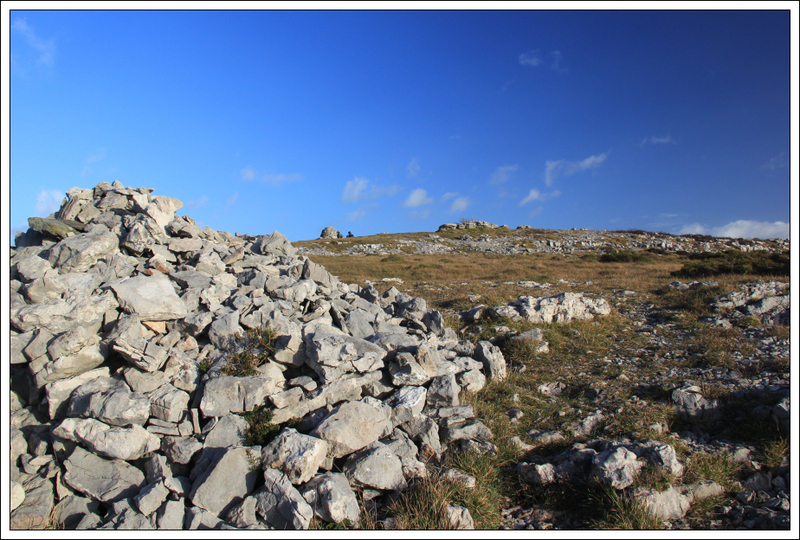 The summit is a rib of rock a short distance from the well-constructed cairn. 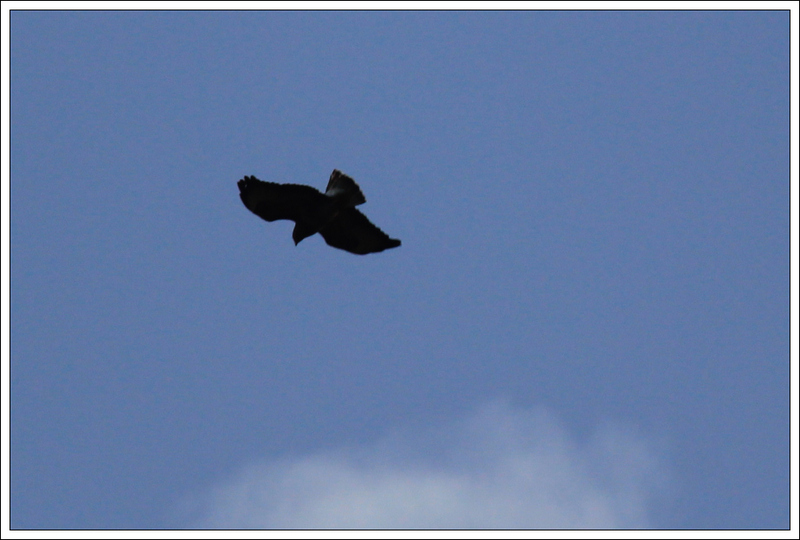 I returned to the car via exactly the same route. 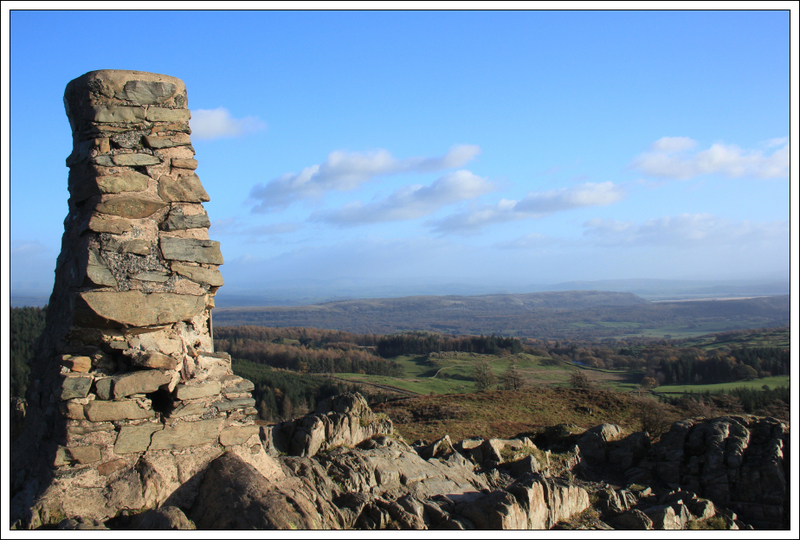 A really enjoyable day involving two outstanding hills – Loughrigg Fell and Whitbarrow.